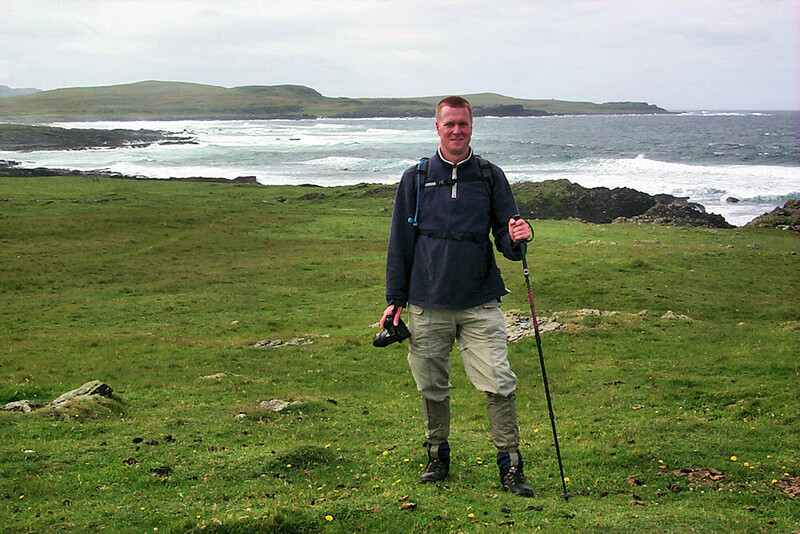 One of the few pictures of me on Islay, taken by my late mother back in August 2003. As a retirement present I had invited her on a trip to Scotland. On this day we went for a walk north of Saligo Bay. This entry was posted in Cloudy Weather, Landscape, Repost and tagged Islay, Rhinns of Islay, Saligo Bay by Armin Grewe. Bookmark the permalink. You’ve found your BLISS and that’s impressive!